HYDAC measurement technology identifies performance limits and reserves in machines and systems and uses these to guarantee performance and output. Our quality measuring devices can be found wherever fluid and gaseous media are used: in the air, underwater, underground, and on rails and roads. Whether you need a pressure sensor, a temperature sensor or a pressure transducer that converts pressure into an analog signal, discover how HYDAC can assist with your requirements. 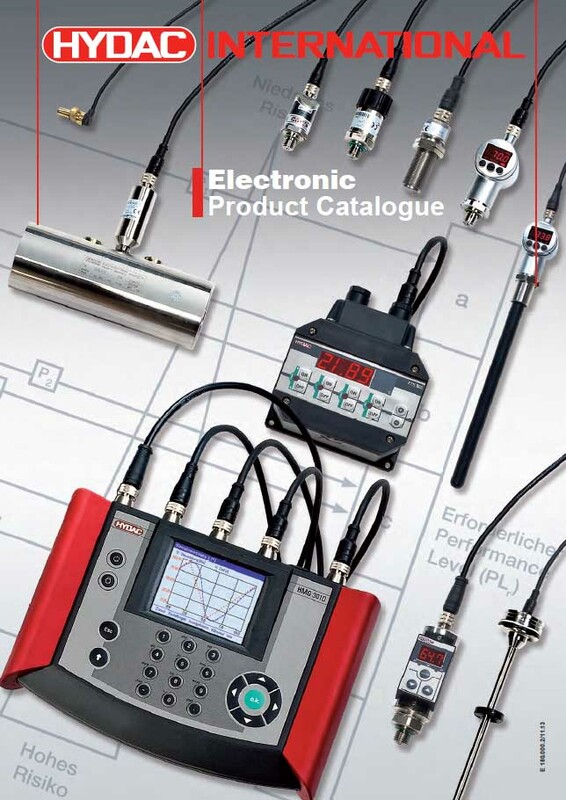 For over 50 years, HYDAC has developed and produced components, systems and electronic measuring devices for specific applications in hydraulics and pneumatics. For the last 30 years, control and regulating electronics together with pressure sensor technology, flow rate, fluid level, linear position, contamination and oil condition have also been developed and manufactured. No matter what product we make, whether it be a pressure transducer, hydraulic valve or one of the many other items we manufacture, you can rest assured that each will be characterised by the qualities that HYDAC itself embodies – decades of experience, an extremely efficient interaction between company divisions, highly qualified development departments, certification to ISO/TS 16949, modern test rigs and laboratories, and in-house production. These are a guarantee of our innovation and quality – including worldwide service. There is almost no hydraulic or pneumatic medium or system which could not be monitored and controlled by HYDAC measurement technology – quickly, precisely and safely. It is therefore not surprising that individually designed HYDAC measuring devices are used by well-known manufacturers and operators in all industries. These applications range from analysis and diagnostics of operating fluids in the laboratory and on site to controlling complex industrial systems and to miniaturised systems in construction and road vehicles. When you need a pressure or temperature sensor, a pressure transducer or one of our many other products, order from HYDAC today.